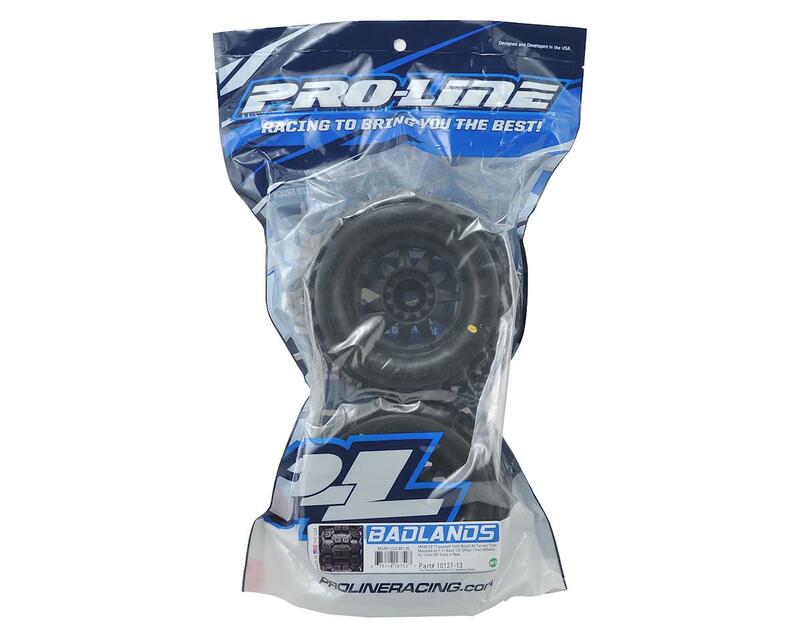 Pro-Line Pre-Mounted Badlands 3.8" Tires take the 3.8” tire game to the next level. The Badlands MX38 is the biggest and baddest tire ever conceived! 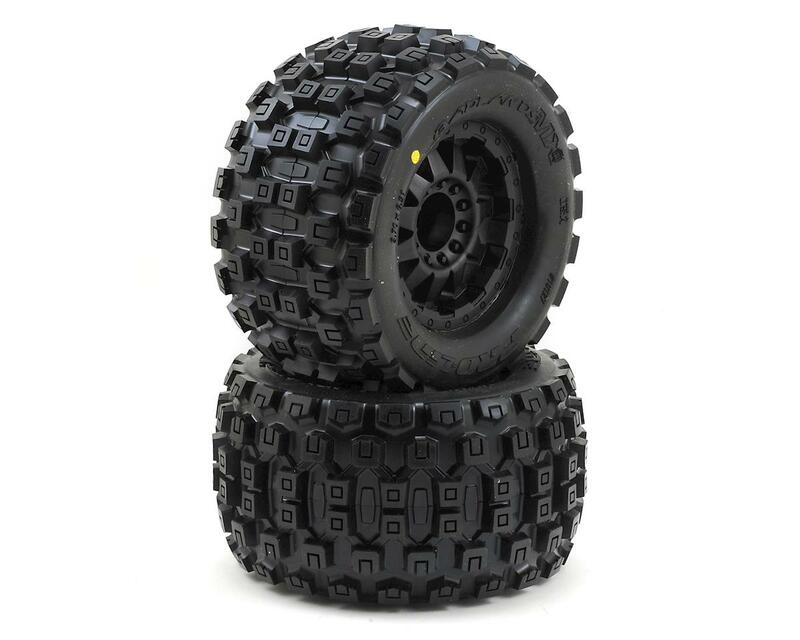 Pro-Line Badlands tires are known for having a Motocross inspired tread, and the Badlands MX38 tires kick that up a notch with a Bigger and Bolder knobby tread that matches modern MX tire design. The Badlands MX38 is a true All-Terrain tire that will find traction on any surface but is best suited for loose & loamy dirt, mud or grass. Compared to the previous Pro-Line Badlands tires, you can expect even better traction, improved wear resistance and enhanced style. The Badlands MX38 comes conveniently pre-mounted to the F-11 wheel. 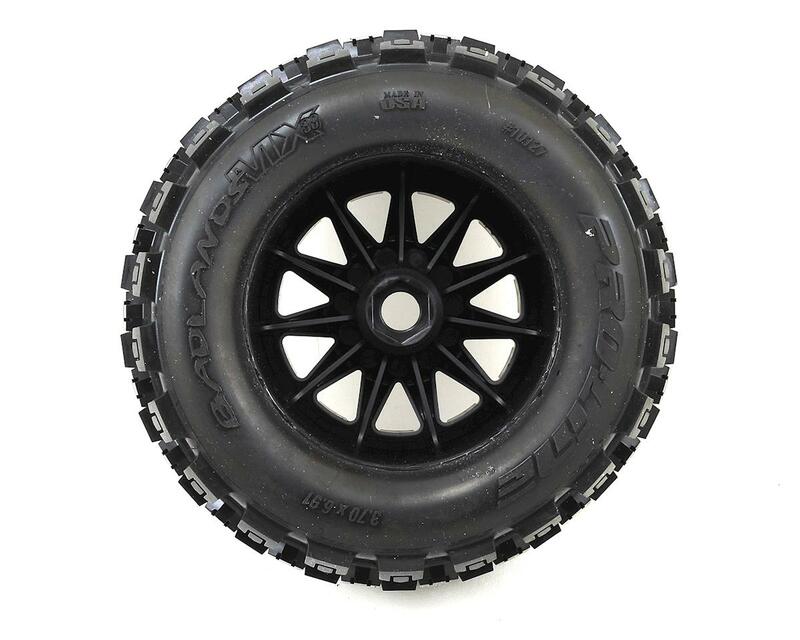 The F-11 is a super-tough 11-Spoke wheel designed to mimic the look of full-size Off-Road Trucks! Pro-Line’s F-11 wheel features scale bolt head details and a swept back face that will stand out from the crowd of boring wheels. This 17mm hex, 1/2" offset wheel wheel is sure to make your truck stand out from the rest.